How Do Sunscreens Work & How Much To Apply? We’ve all been told that sunscreen is a powerful force against the sun’s harmful rays. But do you know exactly why our skin needs it, and what ingredients in sunscreen protect it? UV radiation on the earth’s surface contains about 5 per cent of UVB and 95 per cent of UVA rays. UVB causes sunburn while repeated UVA exposure causes photoaging. Overtime, sun exposure can also lead to skin cancer. In all sunscreens, there are active ingredients that absorb UV rays, and physical filters that reflect radiation. As a whole, physical filters are favoured as they do not cause allergies or react with the skin. They are ideal for children or adults with allergies. Most physical filters are made up of oxides that absorb and scatter UV radiation. Such substances have molecules large enough not to penetrate the skin but act as a surface barrier to UV radiation. Common physical filters are titanium oxide and zinc oxide. Most chemical filters are organic molecules, which means their compound contains carbon atoms. The bonds between carbon molecules are able to absorb UV rays less than 380 nm and dissipate it as heat. Wavelengths longer than 380 nm are reflected. Common chemical UVB filters are PABA derivatives, cinnamates, salicylates, octocrylene and ensulizole. Common chemical UVA filters are: avobenzone, meradimate, benzophenones. To ensure complete protection from all types of UV rays, physical filters have to be in sizes greater than 200nm (macromolecules). But these sunscreens have a heavier consistency and can leave a white residue on your skin. With nanotechnology, particles of titanium or zinc oxide can now be broken down into sizes as small as 20-80 nm. This allows physical sunscreens to have formulations that are less white and chalky. However, using particles of this size may compromise the degree of sun protection a sunscreen offers. Smaller metal particles can also potentially penetrate the skin and seep into body organs. The chances of cancer can increase with exposure to nanoparticles, but the long-term health effects remain poorly understood. To counter these harmful effects, effective sunscreen formulations should have a mixture of different sizes of oxides to improve the protection. Sun Protection Factor: SPF measures how long it takes for UVB energy to cause redness on the skin. If redness appears after 10 minutes on unprotected skin, it should appear after 50 minutes on skin using using SPF 50 sunscreen. Broad spectrum: Broad spectrum sunscreen provides basic protection against UVA and UVB rays. Chemical filters that provide broad-spectrum protection are ecamsule (Mexoryl SX), silatriazole (Mexoryl XL), bemotrizinol (Tinosorb S), Bisoctrizole (Tinosorb M). PA ratings: The PA grading system was established in Japan to measure UVA protection levels, and is more commonly seen in Korean or Japanese sunscreens. 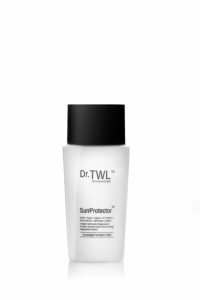 It relies on Persistent Pigment Darkening (PPD) method, which measures the time taken for skin to tan when exposed to UVA light as compared to unprotected skin. A PPD of 10 will mean it takes 10 times longer for the skin to tan, as compared to without the sunscreen. PA+++ provides PPD beyond 16. Studies indicate that most people use too little sunscreen, meaning most are getting sun protection levels much less than the product-stated SPF. Factoring in activities such as swimming or exercising further reduces the amount of sun protection left on the skin. Reapplication helps to ensure a more uniform coverage as there might be areas that you have missed out before. A double application of 1 mg/cm2 is as effective as a single application of 2 mg/cm2. Using sunscreens labelled SPF70 or SPF100 at 0.5 mg/cm2 results in average SPF of 19 and 27 respectively. Given that our use of sunscreen likely does not exceed 1mg/cm2 in reality, application of high SPF sunscreens may still reach a higher sun protection. The dangers of using very high SPF is that consumers may be misled into thinking they can spend more time in the sun. Properly applied SPF 50 sunscreen blocks 98 per cent of UVB rays; SPF 100 blocks 99 per cent. However, the extra sun protection supplied is negligible if there is not proper application of 2 mg/cm2. Other forms of sun protection should also still be considered to attain greater sun protection. 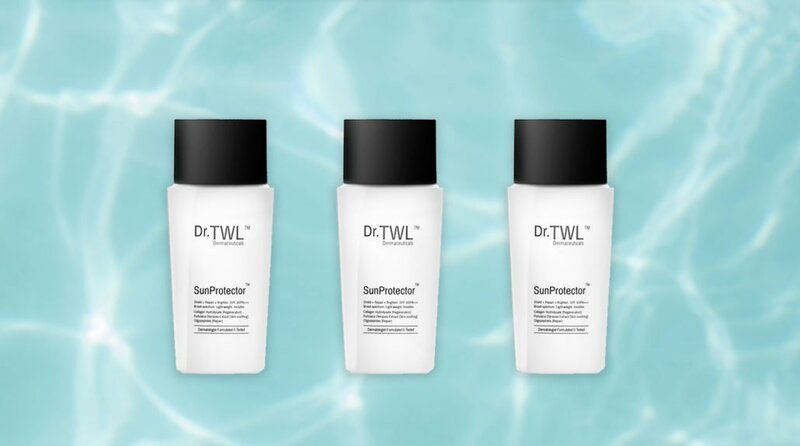 This includes wearing adequate clothing, hats, shade and reducing sun exposure during high intensity hours, usually from 12 – 2 p.m.
Dr. TWL’s SunProtector™ is a cosmeceutical sunscreen uniquely designed for the local weather. It is lightweight enough for easy reapplication. It is also a broad spectrum, SPF 50 sunscreen with PA+++ rating. SunProtector™ uses particles of 100nm, an ideal size that is both cosmetically elegant (no white cast!) and does not expose potential users to the risk of cancer. Proper use with 2.0 mg/cm2 for SPF 50 protection should see you running through a 50ml bottle in about 40 days or sooner, with reapplication during the day. This sunscreen has all you need for adequate sun protection.